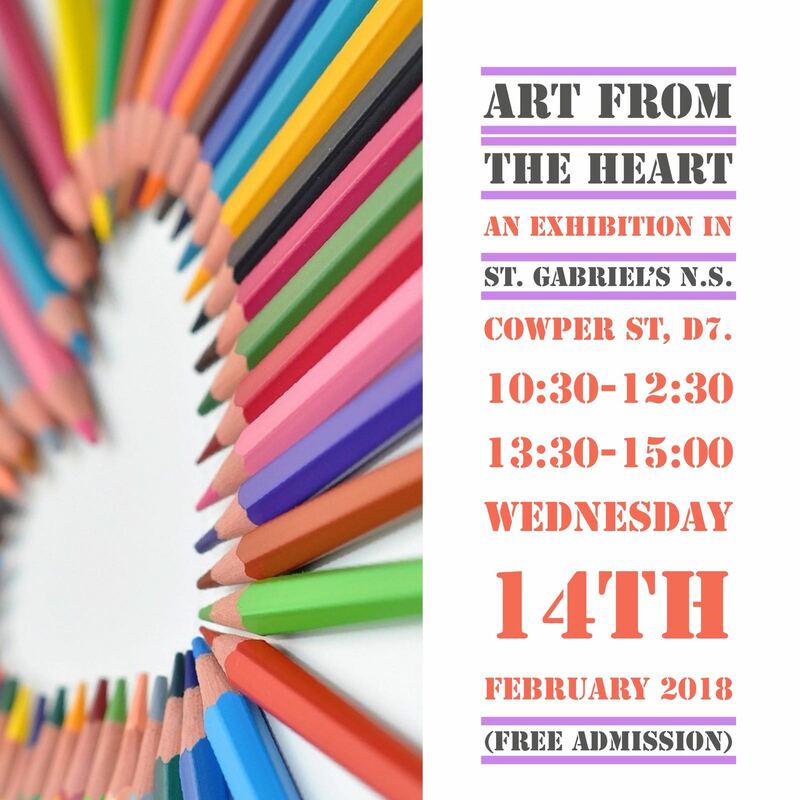 St. Gabriel’s are celebrating all things artistic and creative this Valentine’s Day with Art From the Heart. This will be an exhibition of multiple art works from every child in our school, from Junior Infants right up to Sixth Class. On Wednesday 14th February (opening times 10:30am – 12:30pm and 1:30pm to 3pm) there will be art pieces on display in the school hall showing the different art strands, from Paint and Colour, Clay and Construction to Drawing. Admission is free and all are welcome. We hope to see you there!